There* was a palpable change in the room. The previous hour ILNers were transfixed in the School for Health & Care Radicals, exploring the differences between rebels and troublemakers. The discussion was fascinating: rebels have a natural energy of change, a “what can we do together?” attitude, and a greater good perspective. The troublemaker on the other hand is negative, grounded in “me”, and focused on success for their chunk of the world. “What?! ?” we all thought-gasped. Heads popped up; keyboards stopped clicking. If you look at the big, audacious successes, they are built on a stockpile of “no”. No after no, planting seeds. No after no, chipping away at barriers. No after no, offering pivots. No after no, finding back alleys and back doors. No after no, until yes. No is the indicator that you are provoking. No is the signpost that you are in a space others dare not enter. No is your pathway to Yes. There was a palpable change in the room: junkyards of no transformed into treasures of no. And we felt… happy …and relieved. And so, go for no. Keep on inNOvating. *”Go For No “came from our Ninth Year of ILN InPerson Meetings. 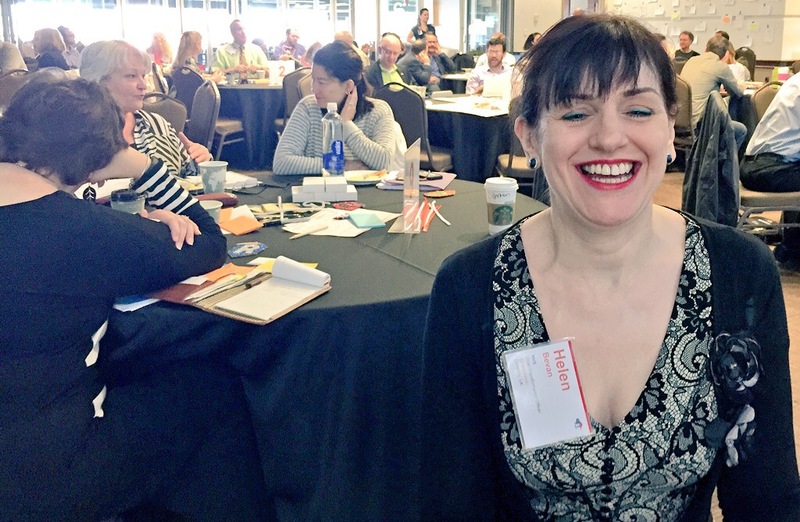 May 12 – 14, 2015, Centura Health and the National Health Service co-hosted 80 ILNers who explored how the everyday healthcare person can step up as a change thinker, change maker and change doer.